In over 40 years of flying, I’ve been fortunate to witness many key milestones throughout the careers of both aircraft owners and pilots. I’ve seen everything from the thrill of a first flight to the proud accomplishment of many different types of ratings and licenses. I’ve helped coach hundreds of pilots through their instrument ratings, commercial ratings, multi-engine ratings and transitions to turbine aircraft. One of the most significant parts of an owner or pilot’s journey is that of the transition from a piston to a turbine aircraft. This transition often happens when a mission requires it or when someone is looking for a more capable aircraft. At this stage, most piston operators are looking at turboprops like a TBM, Piper Meridian, Pilatus or King Air. However, some operators have requirements that a turboprop will not handle and are often looking for a single-pilot jet like a Citation CJ1/1+, CJ2/2+, CJ3, CJ4, Mustang, M2, or a Phenom 100 or 300. Although the change may seem difficult, as long as you prepare for what to expect and find someone to guide you through the process, you can make sure you have a smooth transition. Most owners transitioning into a turboprop are coming out of a high-performance piston aircraft. Although you will see higher costs with a turbine aircraft, they have many advantages. With a turbine aircraft, you get vastly better weather capabilities, faster speeds, higher altitudes, better de-icing capabilities and generally safer operation. Turbine engines are historically more reliable and you can go longer between overhauls. Simply put, in a turbine aircraft, you can fly farther, faster and safer than piston aircraft. For pilots, consider what experience you have that will help throughout a transition. There are a few guidelines to keep you on track. You will need to go through a formal school and be trained on the type, make and model of aircraft you are going to fly. This can be done in a simulator or an airplane with an insurance-approved program or FAA Type Rating. From a training perspective, you want to be a proficient instrument-rated pilot with at least 500-600 hours. If you are going to fly for hire you typically need more than 600 hours and once you are qualified to get one, an ATP rating. Turboprops under 12,500 pounds to not require a type rating, but you will need a high-altitude endorsement and, if applicable, a multi-engine rating. All jet aircraft will require a type specific training and a type rating. When looking for a turbine aircraft, the first thing that should drive your decision is mission analysis. Are you looking to make longer trips like Chicago to San Francisco, or Miami to Minneapolis? Or are you typically making shorter flights like Detroit to Nashville? Carefully evaluate your city pairs and make sure you narrow your search to an aircraft that is capable of flying nonstop to your most-traveled destinations. Beyond range, there are load considerations and speed. Nearly all turbine transactions include one or more brokers representing buyer or seller. A turbine aircraft has complexity and cost factors far beyond that of a piston aircraft and normally require the expertise of a broker. Most buyers will tell you it is money well spent. Once your mission is evaluated, you can begin shopping for the right aircraft for you. At this stage, it can be easy for an operator to browse available turbine aircraft by acquisition price only, without fully considering the differences in operating costs. A word of caution, legacy vs. later model aircraft can look attractive for acquisition price but an older aircraft can have a much higher operating cost due to high-dollar items, like outdated avionics systems, parts obsolescence, run out engines and more. Once you have narrowed your search to a couple of good options, find a service center near you that has extensive experience on the make and model of aircraft you are looking to acquire. In addition to factory service centers, many manufacturers have third-party factory authorized service centers that have factory trained technicians and are able to complete any warranty work on your aircraft. If you cannot find a factory authorized service center that is convenient for you, a reputable shop that has factory trained technicians and extensive experience in your make and model of aircraft can be an excellent alternative. For your major events, like major avionics upgrades, major inspections and paint and interior refurbishments, you can save downtime, scheduling headaches and aircraft repositioning costs by finding a one-stop-shop facility that is highly skilled in your type of aircraft. 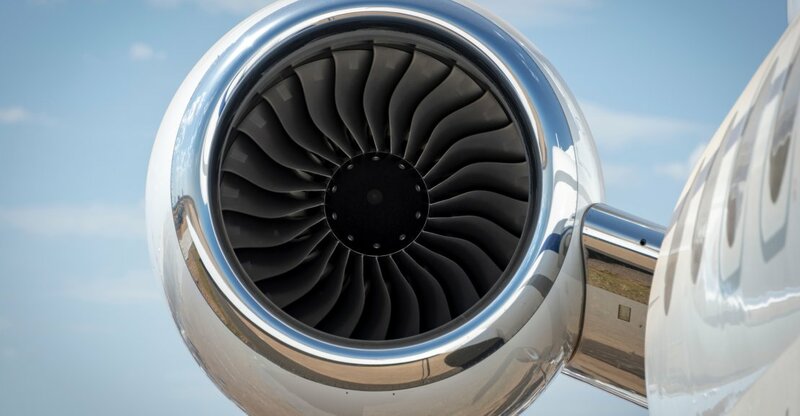 Transitioning from a piston into a turbine aircraft is a major decision and milestone in an aircraft owner, operator or pilot’s career. Whether you are looking to fly faster, farther, or be able to get to where you are going without stopping, there are likely many different options for you to consider. Whether you are an owner or an owner-pilot, the journey can be quite different. Meeting with a reputable aircraft broker will not cost you anything but time, and they can help you evaluate your mission, entry costs and operating costs. Steve Davis is based in Des Moines, Iowa. He joined Elliott Aviation in November 2005 and is currently an Executive Sales Director for New Daher TBM Turbo Prop Aircraft and Pre-owned jet and Turboprop aircraft. His resume includes 46 years of sales and marketing experience in positions as Avionics Regional Sales Manager, National Sales Manager and Director of Sales and Marketing as well as a small business owner. He is married with two grown sons, two daughters in law and four grandchildren. Davis was born with his extreme passion for airplanes and began flying at age 16. He now has more than 16,000 hours of flight time. He holds commercial, single and multi-engine, instrument flight and ground instructor ratings, is an active pilot, instructor and aircraft owner.